The ongoing German public diplomacy initiative “Wunderbar Together,” celebrating German-American friendship, appears to belie the present tensions between the two countries. 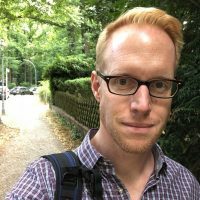 The state of German-American diplomatic relations has hit a new low; thus, increased contacts between German and American diplomats would seem particularly crucial. Secretary of State Mike Pompeo’s recent critique of Europeans’ supposedly viewing multilateralism as “an end unto itself”—ironically, in a speech in Brussels at an event sponsored by the German Marshall Fund—did not help matters, either. Meanwhile in Germany, U.S. Ambassador Richard Grenell’s statements often sound as if they were coming from a representative of the Alternative for Germany (AfD). For example, Mr. Grenell attacked several German news outlets in the wake of a scandal involving a journalist working for the magazine Der Spiegel, who had fabricated several stories, including some that seemed designed to affirm anti-American stereotypes. In the same vein, Mr. Grenell has repeatedly asserted his desire to embolden the very forces in Europe that work to undermine if not destroy the European Union. 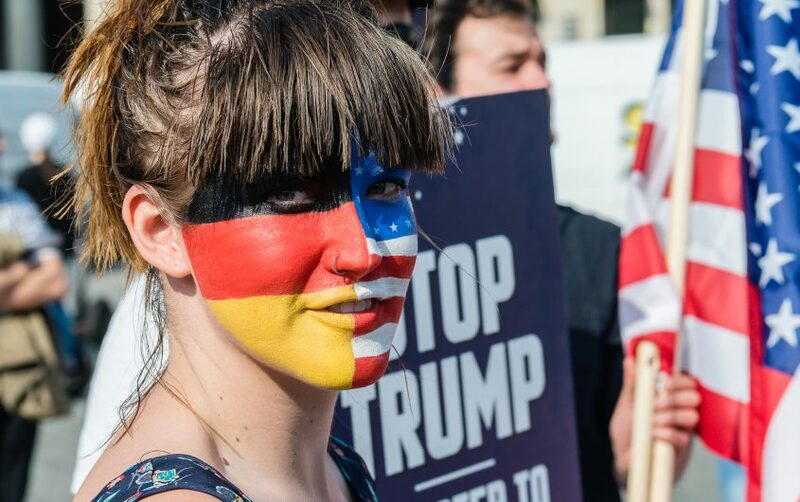 Among the German and American citizenry, the perceptions of the situation are almost diametrically opposed: according to surveys conducted by the Pew Research Center in the U.S. and the Körber Foundation in Germany in September 2018, 70 percent of Americans believe that the relations with Germany at the moment are good, while 73 percent of Germans state the opposite. And while 70 percent of Americans support a closer cooperation with Germany, only 40 percent of Germans hope for the same. This goes along with particularly low opinions of Donald Trump. Seventy percent of Americans believe that the relations with Germany at the moment are good, while 73 percent of Germans state the opposite. What does this gloomy picture mean for those organizations that all, in one way or another, have advocated for a close transatlantic partnership for several decades? The American Council on Germany, for example, came into existence in 1952, as did its sister organization in the Federal Republic, the Atlantik-Brücke. Twenty years later, in 1972, the German Marshall Fund was founded as a permanent memorial to the Marshall Plan assistance provided a quarter century earlier. And Americans established AICGS in 1983, a time when West German political elites worried about the future of the German-American relationship in the midst of a controversy with the Soviet Union over intermediate nuclear weapons in Germany. Their concern was exacerbated by the increasing Holocaust awareness in the United States, which Germans feared would undermine American ties to West Germany. This anxiety, as my colleague Jacob Eder has shown, also led to the creation of the German Historical Institute in Washington, DC, in 1987. These institutions, whether focused on history or policy (most are the latter), have by definition a vested interest in continuing and deepening German-American relations. They have generally attempted to stay above party politics, for understandable reasons, even though the composition of their respective staffs sometimes suggests a certain political bent (the Atlantik-Brücke, for example, has been traditionally close to the Christian Democrats. Walther Leisler Kiep led the organization from 1984 to 2000, and its current chairman is Friedrich Merz, who just narrowly lost the race for CDU party chair). Transatlantic organizations need to articulate the values they claim to support more forcefully, even if this does not win them new friends among the current U.S. administration. Yet the present-day political challenges call for unconventional actions. Transatlantic organizations need to articulate the values they claim to support more forcefully, even if this does not win them new friends among the current U.S. administration. In addition, concerted efforts by these organizations would strengthen the argument that the stakes are very high this time. The non-partisan approach of the transatlantic organizations should be seen as a strength rather than as a hindrance to positioning themselves in favor of open societies, multilateralism, and the European Union. After all, at least in principle, conservative, centrist, and more left-leaning transatlanticists subscribe to these ideas, even if to varying degrees. And the deep policy expertise of the various organizations’ staffs makes them well equipped to make a strong case for their positions. This strategy does not require pretending that the transatlantic relationship in the past has been free of friction. There have been many problems, from clashes of personalities—between Helmut Schmidt and Jimmy Carter, for example—and clashes over issues, such as Ostpolitik in the 1970s, the NATO Double-Track Decision of the same decade, or the U.S. invasion of Iraq in 2003. But the current challenge is of a more existential nature, and therefore it is time for the proverbial adults in the transatlantic room to stand up—together. His current project, Oppressing the Majority, is a contribution to the history of the global phenomenon of populism. It explores the trajectory of an argument that simultaneously emerged in Western Europe and the United States in the late 1960s and early 1970s, namely that a number of different actors, including political elites, activists, and the media, oppressed the voices of the "silent majority" of the respective populations. Oppressing the Majority follows the argument's trajectory in West Germany, Great Britain, and the United States in the subsequent four decades and places it in the political, socio-economic, and cultural context of these countries.